This fundamental ethos has formed the cornerstone of over 6,000 homes that WA Country Builders have designed and built since 1991. 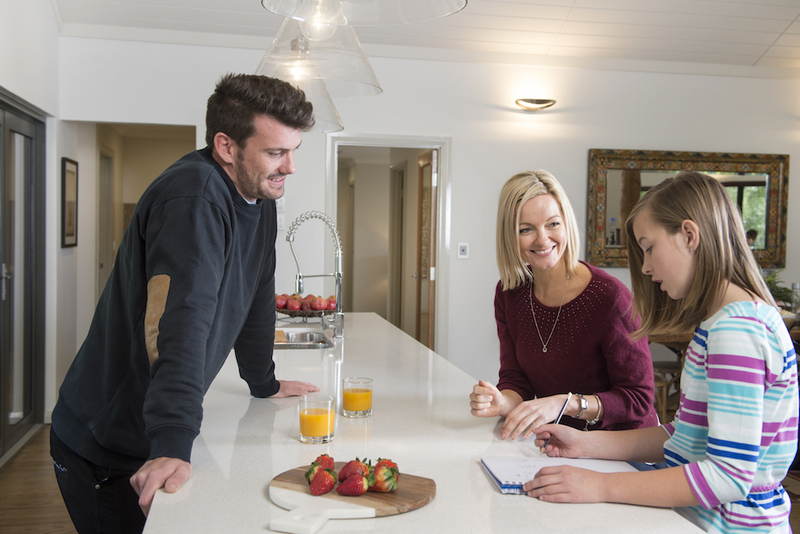 As a family owned business with more than 20 years of experience in building across regional WA – we know that you deserve the best local advice, the widest choice of home designs and materials, great value and award-winning service from a builder you can rely on. WA Country Builders are a true country builder born in the country, committed to providing local administration staff to look after you throughout the building process, experienced building supervisors to ensure the construction of your home goes to plan and local tradespeople. What’s more, our experienced Sales Consultants are HIA Accredited and HIA GreenSmart Accredited. WA Country Builders experienced team of staff not only specialise in building in suburban areas but also specialise in building in rural areas. From earthworks to orientation and bushfire attack levels (BAL), our team address multiple factors associated with building in rural areas to provide you with peace of mind then you move into your new home. Just because you live in regional WA – you shouldn’t have to accept limited choice. WA Country Builders can offer you more than 100 home designs and give you the biggest choice of new home designs by a country mile. We offer a range of homes tailored to fit your stage of life, from helping you into your first home, moving up to an affordable second home, perhaps your first investment home or even a rustic farmhouse nestles in the hills; WA Country Builders are the builders of choice. WA Country Builders have won more awards than any other regional builder, including awards that our clients vote such as Excellence in Service awards. We are proud of the fact that when we win awards, it’s our customers who reap the benefits. Your choice of home builder should take into account the integrity of materials, craftsmanship and employment of professional, reliable tradespeople. Our loyal teams of tradespeople enables us to provide you with the quality that you expect year after year. As a Quality Assured company, WA Country Builders provide a lifetime structural guarantee and 6 month maintenance period after the construction of your new home. WA Country Builders understands the importance of creating a home that is comfortable all year round and minimises energy consumption. The principles of passive solar design are followed with all of our new homes and the correct orientation of your home ensures that it maximises the full solar aspect of your site. We respect the need to develop environmentally responsible construction technology through utilising the most sustainable building practices available. As a HIA Greensmart partner, we are constantly looking at ways to develop even more efficient construction methods and minimise construction wastage. New homes aren’t all that we build at WA Country Builders. We’re equally at home designing and building wineries, residential developments, commercial developments, chalets, offices and retirement villages. Our team have been responsible for some exciting projects around the state including the Fox River Winery complex in Mt Barker, Kalbarri Golf Club, Albany Lifestyle Village and the Geraldton Mariners Commercial Complex to name a few. Because we’re a member of the JWH Group, one of WA’s largest building companies, we not only have a huge range of homes under the WA Country Builders banner, we also build homes for many of Perth’s leading brands. Another reason why more people in regional WA trust building their new home with us. *Please note – specifications per home may change without notice.